Is this a general discussion area? Are we able to discuss what we think about the videos because I'd like to hear unbiased opinions/questions rather than comments that are driven by large organizations and supporters. Some of the videos have left me wanting to either learn more about their projects or left me with open ended questions. I'd also like to know what people really think about the videos others have posted rather than just what they support. If there isn't an area for that then its ok I will just try to contact the videos owners I know I already like. I think it's a great idea to start an open discussion about the videos. 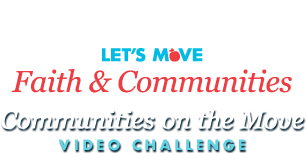 Personally I have no idea how some of the videos are aligned with the Let's Move campaign. What does organizing a walk to raise money for research on a very rare genetic disease (whose video appears to be aligned with the John Muir Hospital gastric bypass center) have to do with Let's Move? If raising money through a walk and promoting gastric bypass for childhood obesity is noted on the Let's Move website, I must have missed it. Similarly, showing a video where kids made animal sculptures with fruits when many people can't even afford to buy fruits and vegetables to eat is bizarre. 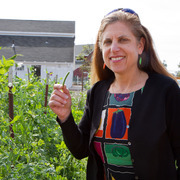 I can't imagine doing something like that in my community, where many children go to bed hungry and their obesity is linked to food insecurity. I am sure that many people are doing great things to fight childhood obesity but perhaps they are too busy doing the work than soliciting votes to promote their own political agendas. Just a small point of clarification. Bypass surgery is not an effective or useful intervention for Prader- Willi Syndrome. They do not experience the sensation of satiation. It's a disorder that effects the thyroid. They experience the feeling of starvation and will seek out food no matter what the size of their stomach and can eat themselves to death- bypass would only make the situation more dangerous. Research towards some sort of intervention that will dull the food drives they face will likely be helpful for many others who for different reasons also experience these urges. Thank you for the clarification. I now see that it was a google ad that popped up after watching the video that confused me. I'm glad that I was wrong and that you set the record straight. Irwin you asked an important question that has yet to be answered. "What does organizing a walk to raise money for research on a very rare genetic disease have to do with Let's Move?" I also don't understand how this video qualifies for the challenge? From The Weight of the Nation conference: David Altshuler, a professor of genetics at Harvard Medical School said: "When it comes to obesity, for the vast majority of people, there's no one gene that makes a difference. There's many, many genes, dozens, perhaps hundreds … each of which has a small effect on the obesity in the population, but which add up to a susceptibility when exposed to this environment we live in, for getting more overweight or not.